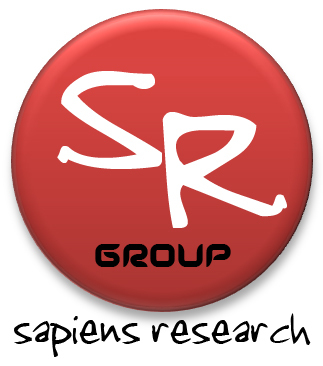 The Boletín Científico Sapiens Research is a biannual Journal (January-June and July-December), published Sapiens Research Group and launched in January 2010. It comes in two versions: electronic and digital (via the portal magazines Issuu) . His articles are open access, download, review and dissemination through social networks. The purpose of this media is visible items (mainly in Spanish, but also in other languages ​​such as Portuguese and French) research-reflection to the world society, in the context of different-themed sections: Latin-A (Latin American issues) , LOGyCA (issues of logic and common sense), Psyche (psychology topics) Sociologando (topics of sociology), Sofando (themes of philosophy) and Urbis (urban planning issues). These sections are published by renowned researchers from different countries of Europe and America, who are calling for specific items each half compared to current issues of relevance (for current V4N1-2014 called for January-June, give (click here) . This magazine is aimed at the entire international scientific and academic community interested in the issues of the sections that we promote. It also publishes other articles from other sections of cultural and general interest, together with the Ranking U-Sapiens (rated Colombian universities as research indicators) and Ranking Col-Sapiens (ranking as Colombian schools score, quality and accreditation).